It was absolutely right to honor the great abolitionist by renewing his call for full voting rights for DC—and all of America. 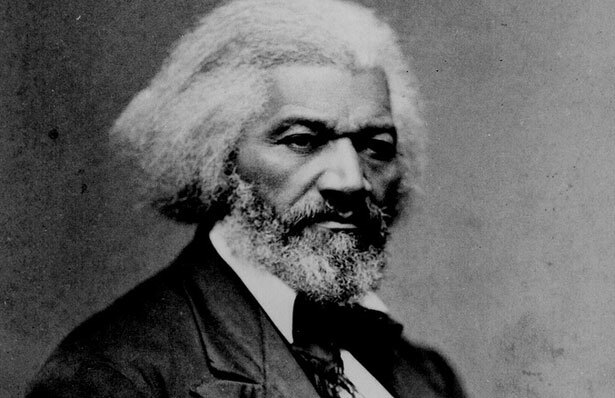 Vice President Biden did right by Frederick Douglass. Accordingly, when the vice president marked the unveiling of a statue honoring abolitionist Douglass at the US Capitol, he made a demand. And it was the appropriate one. It is remarkable that 118 years after the death of Douglass, the citizens of the District of Columbia still lack full voting rights. The denial of the full franchise to the residents of the nation’s capital city is one example of the patchwork approach to suffrage in the United States, where Americans who live in commonwealths, territories and possessions lack full representation rights in Congress and, in many instances, the right to vote for president. Even in the states, voting rights are ill-defined, and the Voting Rights Act is under legal assault. It is for that reason that Congressmen Mark Pocan, D-Wisconsin, and Keith Ellison, D-Minnesota, have called for amending the Constitution to guarantee the right to vote and the right to have that vote counted. Norton and others know that, today, though DC has an elected local government, the power of that government—and, thus, of Washington residents to determine their own affairs—is constrained by Congress. Were they free to do so, there is little reason to doubt that the citizens of the District would petition immediately for statehood. Biden’s raising of the issue of DC voting rights at the ceremony on Wednesday may not have pleased House Speaker John Boehner, R-Ohio, who has resisted efforts to advance DC voting rights legislation in Congress, or Senate Minority Leader Mitch McConnell, R-Kentucky, who pointedly emphasized that Douglass had been a Republican. But, by making a direct demand, Biden honored not just a great man but also the great man’s stated intentions for the city he made his home. “The district deserves statehood. And Congress should act to grant it,” said Reid. For that to happen, Biden and Reid will have to do more than make speeches. With Robert W. McChesney, John Nichols is the author of Dollarocracy: How the Money and Media Election Complex is Destroying America (Nation Books), which examines the denial of voting rights in the District of Columbia and US commonwealths and territories, and which outlines the case for enactment of a constitutional amendment to guarantee voting rights. Will the new anti-abortion bill hold up in the Senate? Read William Greider’s analysis here.